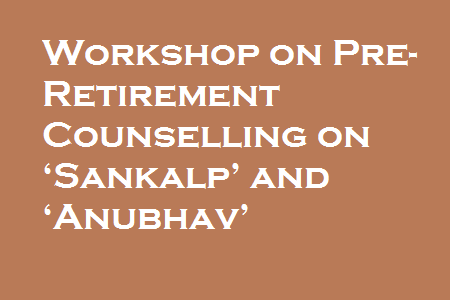 The Department of Pensions and Pensioners’ Welfare, Ministry of Personnel, Public Grievances & Pensions organized a workshop on Pre-Retirement counselling on ‘Sankalp’ and ‘Anubhav’ here today. The Department of Pension and Pensioners' Welfare besides dealing with the pension policy of Central Government Employees, has also been trying to ensure a purposeful and dignified life for retiring employees. 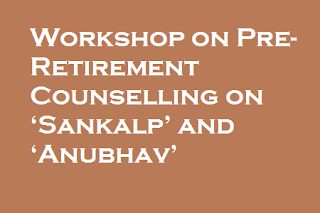 For this purpose Pre-Retirement Counselling Workshops are organized wherein the retiring employees are counselled on issues regarding steps and precaution to ensure timely payment of their retirement dues, the CGHS/medical facilities available after retirement and other related issues, most important being encouragement to employees to involve themselves in the social activities by using the time and skill available with them. During the workshop, Smt Vandana Sharma, Joint Secretary (Pensions) said that today’s workshop will not only help in providing information but also assist to deal with next phase of life. She talked about the importance of updating service book record, family details, nominations and leave records. She also gave a brief highlight on Anubhav, saying that the experience of the retired employees should remain with us rather than taking it away with them. During the workshop, presentations were made on various topics including ‘Sankalp’ and ‘Anubhav’, CGHS facilities post retirement, Income Tax and other incentives for senior citizens/ pensioners, financial investments and importance of writing of will. The Workshop provided motivation and guidance to the retiring employees to prepare their Will for smooth transition of their Estates and other assets, as the retiring Government employees get a lump-sum amount by way of gratuity, PF accumulations and commuted value of pension. They were also told about the safe investment options available to them where they could put their financial retirement benefits to meet their future needs. Shri C. Viswanath, Secretary, Ministry of Personnel, Public Grievances & Pensions and retiring Central Government Civil employees from various Ministries/Departments and Head of Offices and Head of Departments responsible for processing of pension cases of retiring Government employees participated in the workshop. 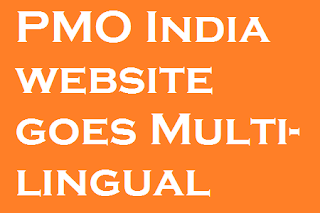 The Official Website of the Prime Minister Shri Narendra Modi’s Office, www.pmindia.gov.in is now multi-lingual. The website can now be accessed in six regional languages namely Bengali, Gujarati, Malayalam, Marathi, Tamil and Telugu in addition to English and Hindi. The website was inaugurated by the Minister for External Affairs Smt. SushmaSwaraj here today. Speaking on the occasion, the Minister said that the initiative is part of the on-going efforts of the Prime Minister Shri Narendra Modi to reach out to the people and communicate with them in their own language. She hoped that this initiative would further enhance the interaction between people from all parts of the country and the Prime Minister on various issues concerning their welfare and development. The Minister further said that other regional language versions of the website will be available in a phased manner. New Delhi: Cabinet Secretary P K Sinha who is heading the Empowered Committee or Secretaries group is likely to hand over a report on the revised pay structures of 7th pay commission recommendations to Finance Minister Arun Jaitley by the end of next month. Finance Minister Arun Jaitley said government had requisite fund to implement 7th pay commission award. 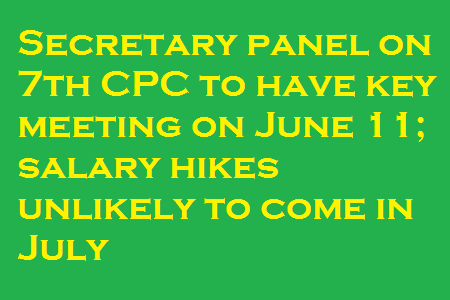 Cabinet Secretary Sinha will finally make his appearance before the the Empowered Committee or Secretaries group on June 11 to make a proposal on the recommendations of 7th Pay Commission before cabinet nod. Recommendations to be submitted by June “The proposal will be placed before the Cabinet after the finance ministry’s review. We don’t think it will take more time for Finance Minister Arun Jaitley’s consideration and the new pay structures will be implemented from July after cabinet nod,” said a top official from the Finance Ministry who did not wish to be named. 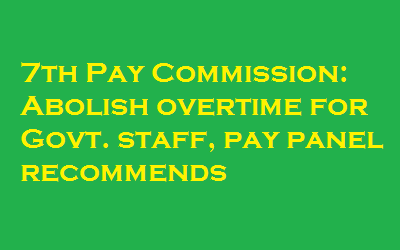 The 7th Pay Commission headed by Justice A K Mathur submitted the report on November 19. It had proposed the highest salary at Rs 250,000 and the lowest at Rs 18,000. 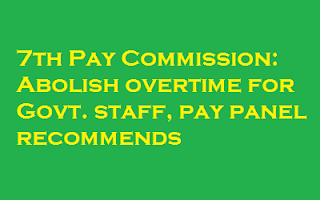 The commission also recommended 14.27 per cent increase in basic pay, 23.55% overall increase in salary, allowances and pensions. The Increase in allowances was recommended 63% while pension was proposed to rise 24%. 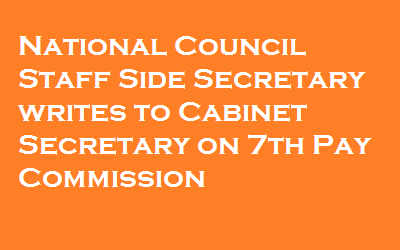 Finance Minister Jaitley is likely to agree with the Secretaries group. “I think it should not be touched again,” the official said. Once the new structure is implemented, salaries of around 48 lakh central government employees and 52 lakh pensioners will rise by 30 percent. The Finance Minister already said the 7th pay commission award would not make the commodity prices to go up. The central government employees and pensioners will also spend more money on a variety of goods after receiving the 7th Commission award with arrears from January 2016. “This means higher consumption similar to what happened in the past. But the previous two Pay Commission awards came with a lag of two years. So the arrears were large. This time, it will not be so,” says Pronab Sen, former Chief Statistician, government of India and now Country Director, International Growth Centre, a think tank based at LSE, run in partnership with University of Oxford. The official also agrees with Sen and said there was no possibility of any impact of the report on the market at this stage of implementation as there were no impacts when the Pay Commission had first submitted the report. The government formed a 13 member secretary-level Empowered Committee or Secretaries group headed by Sinha in January to review the report of the 7th Pay Commission before cabinet nod. The 7th pay commission was set up by the UPA government in February 2014. It submitted the report after around 22 months. After getting the 7th pay commission report, the finance minister Jaitley while introducing the Seventh Pay Commission report on November 19, already said that the final decisions on the Seventh Pay Commission report took five and a half months including the process of Secretaries group. Finance Minister also said, government had requisite fund to implement it. The secretary group is likely to propose pay structure of minimum at Rs 21,000 and the maximum at Rs 2,70,000 Accordingly, the Secretaries group is likely to reach the conclusion to propose 30 percent basic pay raise instead of 14.27 per cent, which was recommended by 7th Pay Commission. 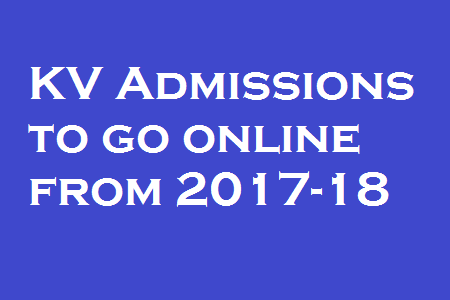 With increasing demand for admissions to Kendriya Vidyalaya schools, the Kendriya Vidyalaya Sangathan (KVS) has decided take the admission process online across the country from 2017-18. 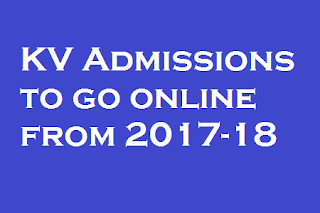 Santosh Kumar Mall, Commissioner, KVS, who was in the city recently, said for the coming academic year, a pilot was conducted in Delhi where they called for online applications. He said that they had received 1.16 lakh applications for 8,760 seats. Mr. Mall said the online application system will be a “convenient option” for parents as it would avoid long queues in front of schools. “It will also ensure transparency and eliminate the scope for manipulation in registration,” he said. In Bengaluru region — which consists of 50 KV schools in Karnataka and Goa — the number of applications registered for the 2016-17 academic year was 29,117 for 5,000 seats, which is six times the demand. In some instances, the demand was nearly 22 times the number of seats. The highest number of applications was received in Malleswaram, with 2,657 forms for 120 seats. Owing to the high demand, many KV principals in the city said that the general public are unable to get admissions to KV. “The only way they can get a seat is under the RTE quota, if they are eligible, or under the Member of Parliament quota and girl child quota. This is because we have to give preference to other categories such as Central government employees, Central government autonomous bodies, and State government employees,” a principal said. In many schools, the State government employees themselves are unable to obtain a seat because of the demand, she said. 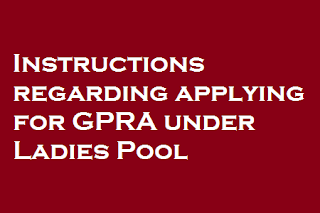 Subject:Instructions for applicants applying for General Pool residential accommodation (GPRA) under Lady Officers’ Pool. 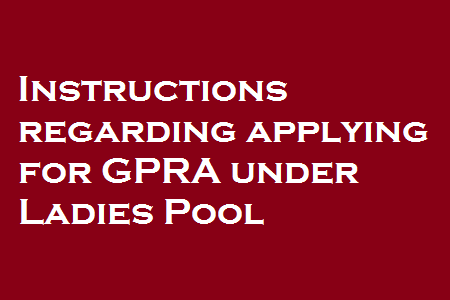 As per the provisions of SR 317-B-8 of the Allotment of Government Residences (General Pool in Delhi) Rules, 1963, ‘Lady Officers Pool’ is maintained separately for allotment of GPRA to married lady officers and single lady officers in the ratio of 2:1.`Married lady officer’ means a lady officer whose marriage is subsisting and who is not judicially separated from her husband. All other women employees fall in single lady officer category. 2. But, it has been observed in many cases that at the time of applying in DE-II Form, a single lady officer apply under single lady category but after marriage of her, do not update her status in DE-II Form and gets accommodation in single lady officer category despite being married. This allotment violates the existing provisions of the Allotment of Government Residences (General Pool in Delhi) Rules, 1963.
a) The personal information furnished in DE-II Form by a woman employee has to be verified by the office of the applicant as to whether the employee is married or single at the time of submission of the Form as well as at the time of acceptance of allotment of GPRA. b) A single lady officer should update her records in DE-II Form as soon as she gets married and she will be included in the waiting list of married Lady Officers for the eligible type of accommodation and will get allotment of GPRA from married Lady Officer quota only. In case, a Lady Officer is found to have suppressed information of her marriage and gets an allotment of GPRA from single Lady Officer quota, the allotment shall be cancelled and appropriate action shall be taken as per rules. 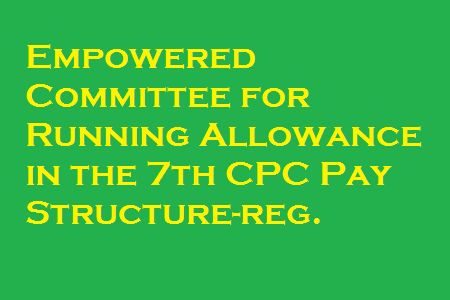 Sub: Empowered Committee for Running Allowance in the 7th CPC Pay Structure-reg. Ref: Railway Board’s order No. ERB-I/2016/23/1 dated 05/05/2016. The Railway Board has since issued an order dated 05/05/2016 constituting Empowered Committee for Running Allowance in the 7th CPC Pay Structure. According to Board’s letter, ED/PC-I, Railway Board shall be the Convenor of the Empowered Committee and five EDs of different directorates shall function as its members. 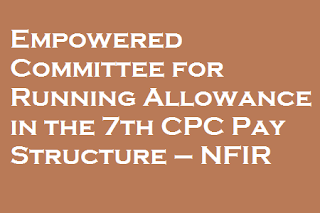 In this connection, NFIR desires to convey that pursuant to bipartite agreement reached on the report of the Running Allowances Committee, 1980, the running allowance eligibility criteria, pay elements for various purposes, ALK etc., were decided by the Railway Ministry in the year 1981. With the implementation of 6th CPC pay structure (Pay Band & Grade Pay), a number of aberrations have however cropped up and all those issues .were raised by NFIR in different fora. The issues were also discussed in the Fast Track Committee meetings, besides PNM and DC/JCM meetings, but unfortunately, there has been no finality till now. In the full Board meeting chaired by CRB on 7th February 2014 and in the Fast Track Committee meetings, it was decided that the running staff issues need to be dealt in the joint committee and accordingly joint committee was constituted.. Although the joint committee met twice, the issues remained unresolved. 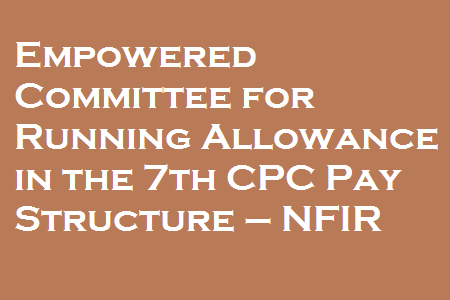 Now that the Railway Board has constituted Empowered Committee in the wake of 7th CPC repOrt presently under consideration of the Government, the NFIR urges upon the Railway Board that the issues which are pending before the Joint Committee should be got finalized quickly. 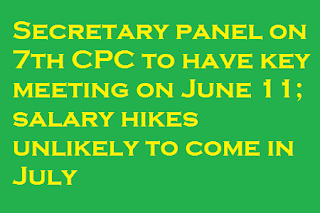 Thereafter there should be formal meetings with the Federations for discussing the new issues which may arise consequent upon the decision for implementation of VIIth CPC Pay Matrix levels. In this context, the Federation wants to remind the Railway Board that the pay elements 30% and 55% of pay which are in vogue since the time of 4th CPC should be continued without any dilution even when 7th CPC Pay Matrix levels are to be implemented. Federation hopes that the Railway Board would take note of earlier agreements reached with the Federations for ensuring that the same are not deviated. In these circumstances I believe that, we should call a meeting of the NJCA and discuss about the strategy and future course of action, particularly in regard to Strike Notice on 9th June, 2016 and “indefinite Strike” from 11 th July, 2016. 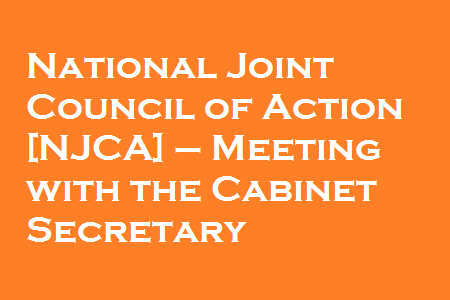 The meeting of the NJCA will be held on 3rd June, 2016 at 16:00 hrs. in JCM Office 13-C, Ferozshah Road, New Delhi. 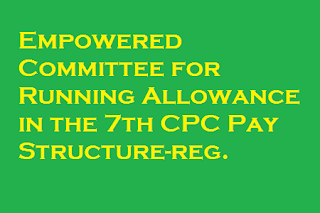 Empowered Committee for Running Allowance in the 7th CPC Pay Structure-reg. Copy to the Executive Director/PC-I, Railway Board, New Delhi. 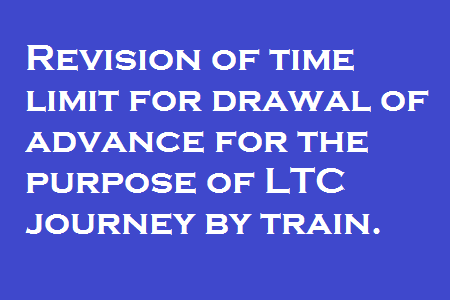 Revision of time limit for drawal of advance for the purpose of LTC journey by train. Subject:- Revision of time limit for drawal of advance for the purpose of LTC journey by train. The undersigned is directed to refer to this Ministry’s O.M. No. 31011/5/98-Estt. 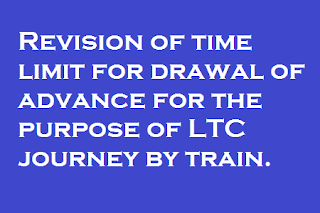 (A) dated 30.03.1998 regarding relaxation of time-limit for drawal of LTC advance, wherein it has been stated that a Government employee can draw advance for LTC journey for himself and his family members sixty-five days before the proposed date of the outward journey. 2. Since, the Ministry of Railways has decided to increase the Advance Reservation Period (ARP) for booking accommodation in trains from 60 days to 120 days (excluding the date of journey) w.e.f. 1st April 2015, the time-limit for drawal of LTC advance by the Government servants may be increased from 65 days (i.e. 2 months & 5 days) to 125 days (i.e. 4 months and 5 days) in case of journey by train. 3. Cases where the LTC journey is proposed to be undertaken by other modes of transport viz. air/sea/road, the time-limit for drawing LTC advance shall remain 65 days only. 4. In all the cases, where an advance is drawn for the purpose of availing LTC, it will be mandatory for the Government servant to produce the outward journey tickets to the Competent Authority within ten days of drawal of advance in order to verify that he has actually utilised the amount to purchase the tickets. 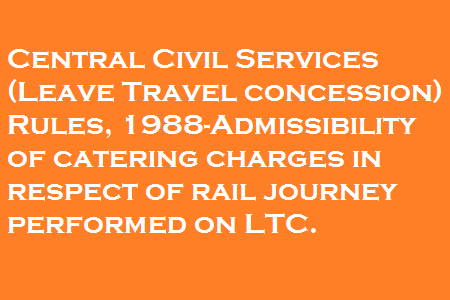 Central Civil Services (Leave Travel concession) Rules, 1988-Admissibility of catering charges in respect of rail journey performed on LTC.- Clarification reg. 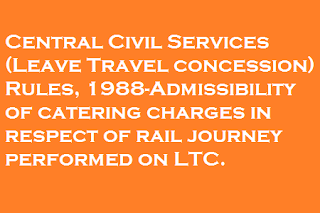 Subject:- Central Civil Services (Leave Travel concession) Rules, 1988-Admissibility of catering charges in respect of rail journey performed on LTC.- Clarification reg. The undersigned is directed to say that several references are received in this Department from various Ministries/Departments seeking clarification regarding the admissibility of catering charges charged by the Indian Railways in respect of the rail journey(s) performed by Rajdhani/Shatabdi on LTC. 2. The matter has been examined in consultation with Department of Expenditure, Ministry of Finance and it is clarified that if the Government servant has to compulsorily avail the catering facility and the cost is included in the rail fare for Rajdhani/Shatabdi/Duronto trains, the fare charged shall be reimbursable in full as per the entitlement/eligibility of the Government servant. The Seventh Pay Commission has recommended that overtime allowance, except for operational staff and industrial employees governed by statutory provisions, should be abolished, after data showed that the expenditure under the head for the Railways and Defence ministries more than doubled in seven years ending 2012-13. A committee of secretaries headed by Cabinet Secretary P. K. Sinha is reviewing the Commission’s recommendations. Overall, the overtime paid by the Government increased from Rs.797 crore to Rs.1,629 crore in the period, prompting the Commission to observe that government offices need to increase productivity and efficiency; and recommend “stricter” control on the Centre’s expenditure under the head. “Government employees, like every one else, should be paid for results, not to spend time in the office…but overtime is mandated by law in organisations like railways and in such cases payments must be realistic and not frozen in time and hence the recommendation to increase them by 50 per cent,” economist and Seventh Pay Commission Member Rathin Roy told The Hindu . Overtime allowance paid in just the Ministry of Railways and to civilian employees in the Ministry of Defence, accounts for more than 90 per cent of all overtime paid by the Centre, the Commission found. While the Ministry of Defence has achieved some success in controlling payment of the allowance, the efforts of the Railways Ministry have not borne fruit as yet. As a percentage of pay, overtime allowance is declining in the Ministry of Defence but is on the rise in the Ministry of Railways. The allowance decreased to 6.54 per cent of pay in 2012-13 from nearly 8 per cent in 2006-07 in the Ministry of Defence. It increased to 2.58 per cent in the Ministry of Railways in 2012-13 from 2.09 per cent in 2006-07. Overtime paid to employees in the Railways is rising faster than even their pay. The compounded annual growth rate of 17.2 per cent for overtime in the ministry exceeds that of pay which is 13.2 per cent. If the government decides to continue with the allowance for those categories of staff for which it is not a statutory requirement, then it should be increased by 50 per cent, the panel recommended. We have submitted a rejoiner on the report of VII CPC, seeking bilateral settlement on the issues related to VII CPC. You are gracious enough to convene a meeting on 1st March, 2016, wherein members of the Staff Side, National Council(JCM) and Empowered Committee of Secretaries participated. Subsequently, another truncated meeting was held on 30th March, 2016. In both the meetings Official Side heard our views, but no reaction of the Official Side was expressed except general remarks. I have been directed to draw your kind attention towards minutes of the Standing Committee of National Council(JCM) held on 7th May, 2008 and our rejoiner submitted to government in the matter of report of VI CPC. You will kindly find that, it was not only a general discussion, but also Official Side explained their views on each and every issue. I would, therefore, request your goodself to kindly arrange for similar type meeting for bilateral settlement on each of the issues raised by the Staff Side, NC/JCM before Empowered Committee of Secretaries. 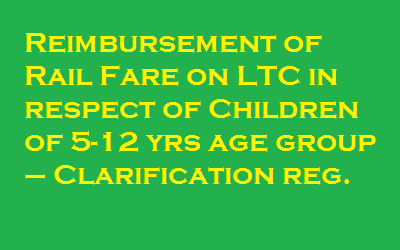 Central Civil Services (LTC) Rules, 1988 – Reimbursement of Rail Fare on LTC in respect of Children of 5-12 yrs age group – Clarification reg. 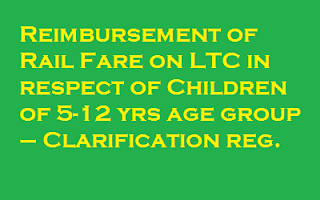 Subject:- Central Civil Services (Leave Travel Concession) Rules, 1988 – Reimbursement of rail fare on LTC in respect of children of 5-12 yrs age group – Clarification reg. As per Railway Board’s circular No.71 of 2015, Ministry of Railways have decided that in case of children above 5 years and under 12 years of age, for whom full berth/seat is sought at the time of reservation, full fare shall be charged. It is mentioned that if berth/seat is not sought for the children of age 5 years and under 12 years of age at the time of reservation, then half of the adult fare shall continue to be charged subject to minimum distance for charge. This would be effective for the travel w.e.f. 10.04.2016. 2. In this regard, several references have been received in this Department from various Ministries/ Departments seeking clarification as to whether the full fare charged by the Railways for reservation of berth for children between 5 years and 12 years shall be reimbursable while availing LTC facility. 3. The matter has been examined in consultation with Department of Expenditure, Ministry of Finance and it has been decided that for the family members of the Government servant, aged between 5 yrs and under 12 yrs, the actual rail fare shall be reimbursed for LTC, as per the choice of rail tickets purchased by the Government servant. 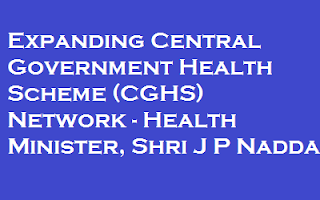 (i) In an existing CGHS city:- For opening of a new Allopathic CGHS dispensary in an existing CGHS city, there has to be a minimum of 2000 Card holders (serving employees of Central Government and Central Civil pensioners). (ii) Extension of CGHS to a new City:- For extension of CGHS to a new city, there has to be a minimum of 6,000 Card holders. 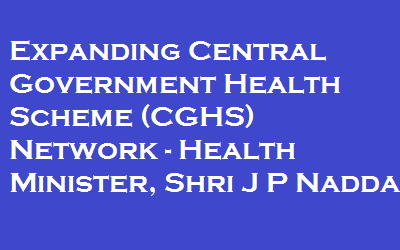 As the resources under CGHS are fully committed, it is not possible at present to extend CGHS network to areas that are presently not covered even with the existing criteria. 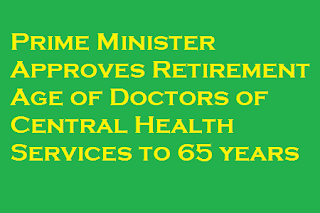 As per the unverified information available in public domain, many developed and developing countries have been providing either free medical treatment including medicines and hospitalisation or on subsidised cost, to their senior citizens. However, specific details of such schemes/policies are not available with the Health Ministry. 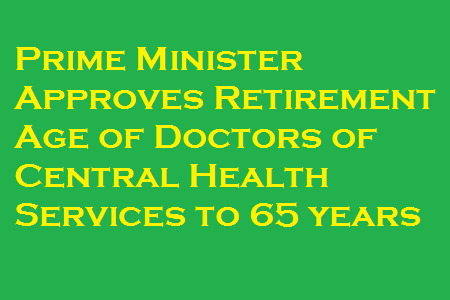 The Government of India had launched National Programme for Health Care of the Elderly (NPHCE) during 2010-11 with a view to provide separate and specialized comprehensive health care facilities to senior citizens at various levels of state health care delivery system including outreach services. The health care facilities, being provided under this programme, are either free or highly subsidised. ii) Setting up of 10 bedded Geriatric units at all District Hospitals that will provide indoor services for elderly during hospitalisation. iii) Establishment of Rehabilitation unit at all Community Health Centres (CHCs) and Geriatric clinic twice/week. iv) Setting up weekly Geriatric clinic by trained medical Officer at Primary Health Centres (PHCs). Apart from this, Government of India has launched a Senior Citizen Health Insurance scheme with effect from 01.04.2016, as a top up scheme of Rashtriya Swasthya Bima Yojna (RSBY). The scheme will provide health coverage to senior citizen who are aged 60 years and above belonging to BPL category. Under this scheme, the health coverage is for Rs. 30,000/- per annum per senior citizen for treatment packages, over and above RSBY entitlement. The scheme would be cashless and run on the RSBY platform as an add-on cover. The add-on cover of Rs. 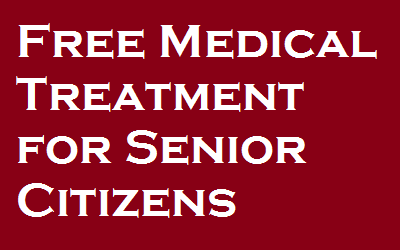 30,000/- per senior citizen will be for treatment of senior citizen only. Senior citizen are also eligible for cover under the primary RSBY on family floater basis of Rs. 30,000/-. It is further added that Public Health is a State subject Under the National Health Mission, support is provided to States/UTs for provision of drugs free of cost to all those who access public health facilities including the elderly population. 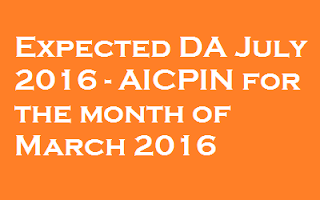 The All-India CPI-IW for March, 2016 increased by 1 point and pegged at 268 (two hundred and sixty eight). On 1-month percentage change, it increased by (+) 0.37 per cent between February, 2016 and March, 2016 when compared with the increase of (+) 0.40 per cent between the same two months a year ago. The maximum upward pressure to the change in current index came From Food group contributing, (+) 0.37 percentage points to the total change. At item level. Wheat and Wheat Atta, Fish Fresh, Goat Meat, Poultry (Chicken), Milk, Chillies Dry. Chillies Green, Potato, Seasonal Green Vegetables and Fruit items, Tea (Readymade). Sugar, Private Tuition Fee, etc. are responsible for the increase in index. However, this increase was checked by Rice, Arhar Dal. Mustard Oil, Eggs (Hen), Garlic. Onion. Tomato, Supari. Petrol, Flower/Flower Garlands, etc.. putting downward pressure on the index. The year-on-year inflation measured by monthly CPI-IW stood at 5.51 per cent for March, 2016 as compared to 5.53 per cent for the previous month and 6.28 per cent during the corresponding month of the previous year. Similarly, the Food inflation stood at 6.16 per cent against 6.18 per cent of the previous month and 6.98 per cent during the corresponding month of the previous year. At centre level, Munger-Jamalpur reported the maximum increase of 10 points followed by Raniganj (9 points) and Ludhiana (7 points). Among others, 5 points increase was observed in 4 centres, 3 points in another 9 centres, 2 points in 9 centres and I point in 14 centres. On the contrary, Mundakkayam recorded a maximum decrease of 6 points followed by Ernakulam and Puducherry (5 points each). Tiruchirapally and Warrangal (4 points each). Among others, 3 points decrease was observed in 2 centres, 2 points in 9 centres and 1 point in another 9 centres. Rest of the 14 centres’ indices remained stationary. The indices of 33 centres are above All-India Index and other 43 centres indices are below national average. The indices of Bokaro and Varanasi centres remained at par with All-India Index. The next issue of CPT-IW for the month of April, 2016 will be released on Tuesday, 31st May, 2016. The same will also be available on the office website www.labourbureaunew.gov. in.